You have awesome dashboards, and your clients are happy. One thing they would like though: to see their numbers using another currency. Or dates with the format they are used to. Or even, change the language of most items in the dashboard. This is where Language (Region) comes in. The Language (Region) of an account (and its dashboards, by extension) determines how the currency is displayed (not only the symbol itself, but if it’s located before or after the number), and also how the date and time are formatted. Moreover, by default, a different Language (Region) will also show translated text for basic items. More on this below. One thing to note: it is not possible, with the current system, to change the Language (Region) of a single widget. The Language (Region) can only be changed on a dashboard or an account level. For example, the French (Canada) Language (Region) displays the dollar sign one space after the number, and the date using the YYYY-MM-DD format. 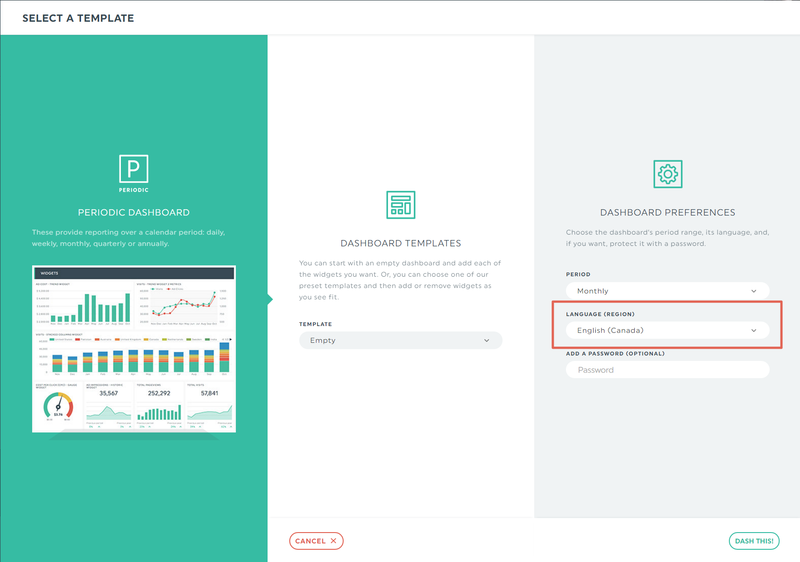 Note that setting the Language (Region) will not change for existing dashboards. 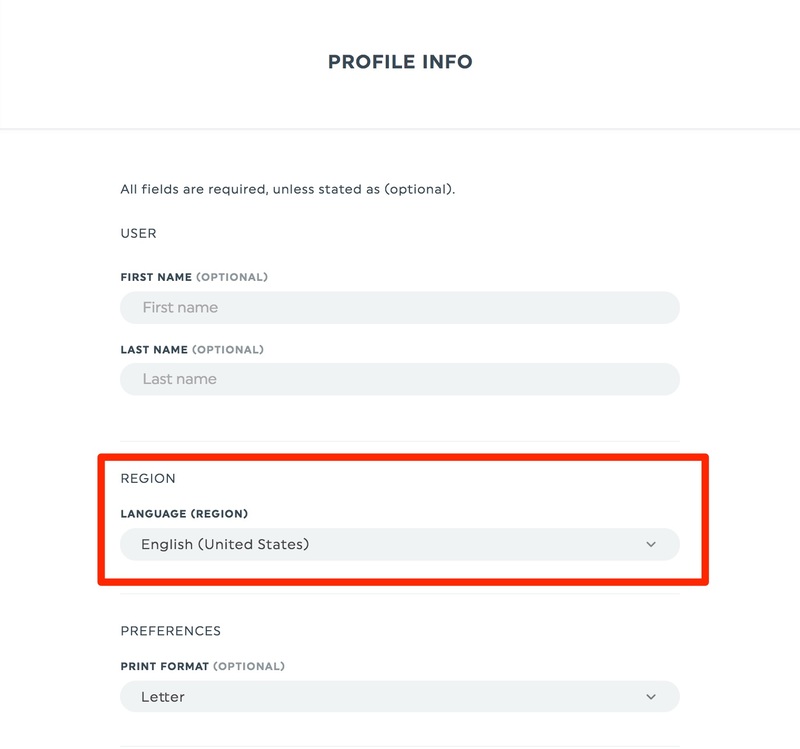 It will only set the account Language (Region) by default, for new dashboards. At the moment, this is not possible on your side. 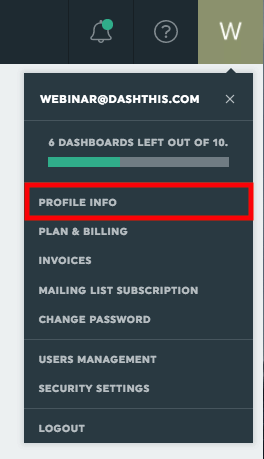 Send us an email at info@dashthis.com, and we’ll gladly proceed with the Language (Region) change in the back end. Simply provide us with the dashboard name(s), and the new Language (Region) you need. Not all text elements have an available translation. The « Previous Period » and « Edit » button texts, for example, are translated. But other texts (when editing a widget for example) are not. If you want to have a complete translation, contact us at info@dashthis.com. We have a complete template that we’ll need you to fill (with your translation). And we’ll deploy it live once we have the filled template. It’s as simple as that! This entry was posted in Account and tagged currency, language, Managing Account.